Sat., Jan. 6, 2018, 5 a.m.
National Republicans plan to throw a counterpunch in Washington’s 5th Congressional District, which has become a midterm bull’s-eye for energized Democrats. The Congressional Leadership Fund, a political action committee able to raise unlimited cash and backed by House Speaker Rep. Paul Ryan, announced this week it would open a field office in Eastern Washington. The office, one of 27 the organization has launched since the beginning of last year, will support Rep. Cathy McMorris Rodgers, whose seat is the only one in Washington currently receiving support from the group. The move makes her the most high-profile GOP member to date to attract the Washington, D.C.-based committee’s attention. The organization has opened five offices in California, three in Pennsylvania and two each in Florida, Illinois, New Jersey and New York, all targeting what they call “key districts” in the race to maintain the GOP’s current 46-vote advantage in the House of Representatives and two-vote margin in the U.S. Senate. The fund has pledged to spend $100 million in this election cycle to support those efforts. The move follows the announcement in November that the Democratic Congressional Campaign Committee would be throwing its weight behind Lisa Brown, the former state lawmaker and chancellor of Washington State University in Spokane. That organization, an official party committee that works to elect Democrats to Congress, touted the fund’s involvement as evidence Republicans believe what has been a solidly red district is now in play. Brown said Friday the Republican group’s entrance into the race was indicative of the type of national-level influence she hoped would stay out of the district. The field office in Spokane will serve as a hub for one full-time staffer and volunteers to begin canvassing the district to speak with voters about issues and gather data ahead of the November election, according to the Congressional Leadership Fund. The announcement does not mean the organization, which spent millions of dollars supporting the special election candidacies of Reps. Greg Gianforte of Montana and Karen Handle of Georgia, will make ad buys in Eastern Washington. 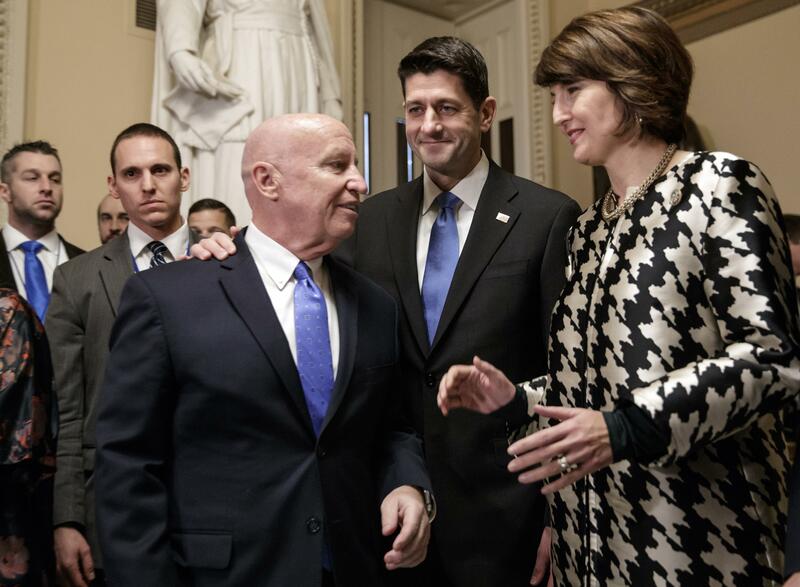 McMorris Rodgers, the fourth-ranking Republican in the U.S. House of Representatives who has represented the district since 2005, maintains a large fundraising advantage over Brown, who announced her candidacy at the end of last summer. The most recent reports filed with the Federal Election Commission, accurate through October, show the congresswoman has $732,216 on hand for her campaign, compared to Brown’s $197,460. But Democrats have been emboldened by electoral wins in Alabama, Virginia and elsewhere, and a recent poll of registered voters statewide indicates the lean left at the national level in President Donald Trump’s first midterm could see echoes in the Inland Northwest. Respondents in a December poll of registered voters conducted by Elway Research, a Seattle-based public opinion firm that has been publishing quarterly polling data since 1992, indicated an unsurprising 10-point advantage for the Democratic Party over Republicans in congressional races across the state, said Stuart Elway, president of the firm. The 504 registered voters polled were not asked about specific candidates, only the party they supported. In Eastern Washington, the generic Republican held the advantage, but it was only by 4 points, according to Elway’s poll. That’s down from a 20-point advantage for the generic Republican in the same poll conducted at the end of October. In a statement issued Saturday, the McMorris Rodgers campaign downplayed the significance of the poll and expressed confidence in their re-election effort. “Cathy has a proven record reducing taxes and fighting against federal government overreach, while Lisa Brown is not a ‘generic’ Democrat but an ultra-liberal, big spender who raised taxes and college tuition repeatedly,” said Emily Strode, a campaign spokeswoman, in the prepared statement. Editor’s note: This story was updated on Saturday, Jan. 6, to include a statement from McMorris Rodgers’ campaign office addressing the results of a public opinion poll. Published: Jan. 6, 2018, 5 a.m.